Classification and ordination methods used to examine the internal complexity of the Mediterranean Tagus River catchment based on fish distribution revealed that it is not a homogeneous biogeographical unit. 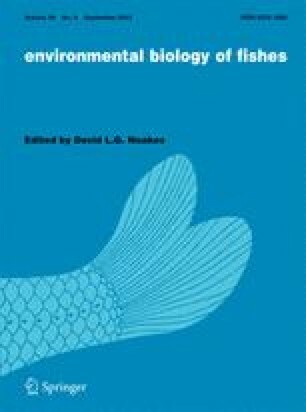 The indigenous fishes analyzed in this study are distributed through the basin forming geographical communities (chorotypes), some of which are associated with environmental factors like river morphology, water quality or geographical location. Nevertheless, 40% of the variation in species occurrence remains unexplained by either environmental or geographical variables, suggesting that historical factors may influence the freshwater fish distribution patterns. Three main biogeographical areas, delimited by significant boundaries, were identified. Two of them are identified as the upper and the middle-lower basins of the Tagus River catchment; the third corresponds to the Alagón River and seems to be linked to historical factors of the catchment.